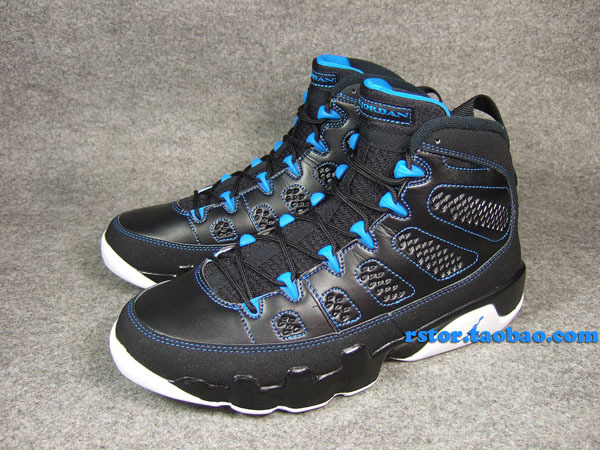 The Air Jordan 9 returns heavy this Fall/Winter in colorways old and new, the latter including the "Photo Blue" make-up pictured in detail here. 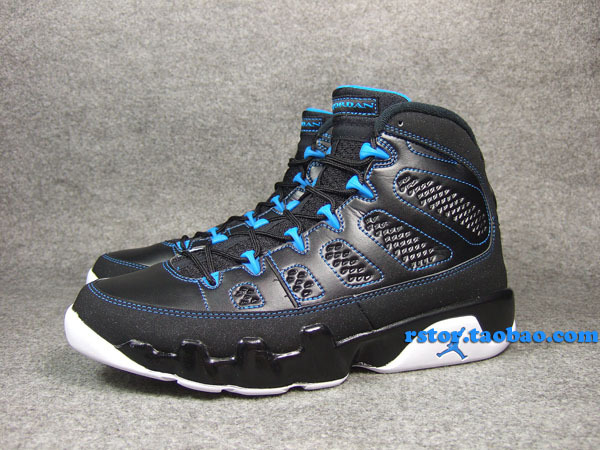 The Air Jordan 9 returns heavy this Fall/Winter in colorways old and new, the latter including the "Photo Blue" make-up pictured in detail here. 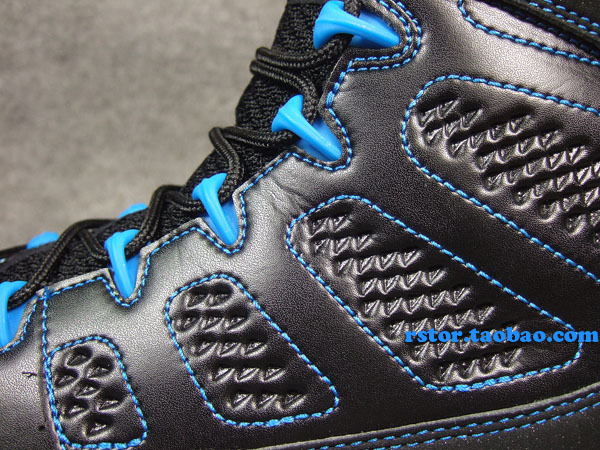 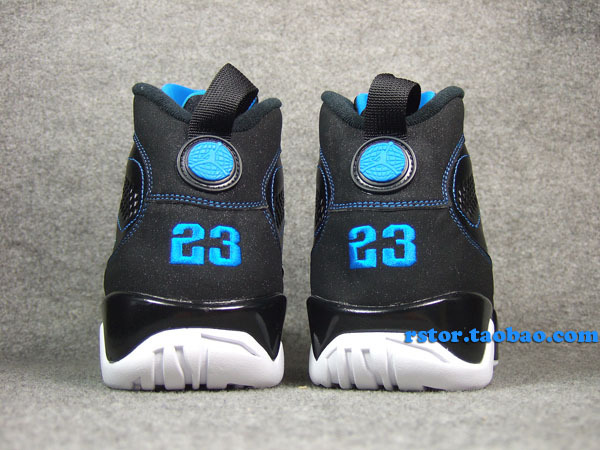 Somewhat reminiscent of the old Penny Hardaway and Nick Anderson Orlando Magic PEs worn in the 90s, this pair features a black leather and nubuck base with contrasting Photo Blue highlights throughout. 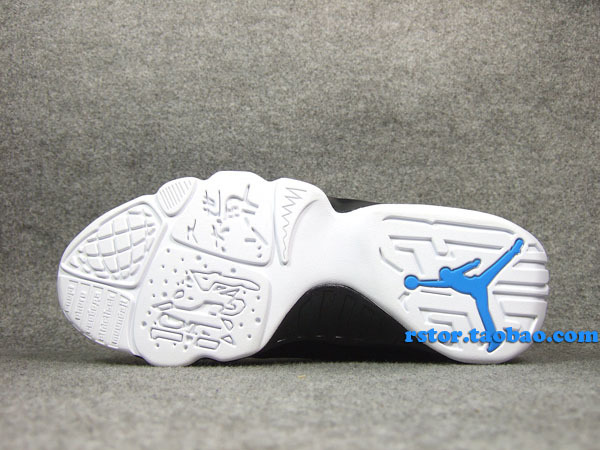 Breaking up the look a bit is a solid white rubber outsole. 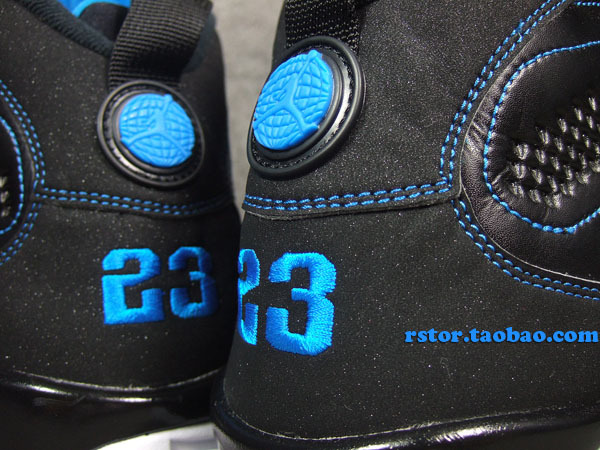 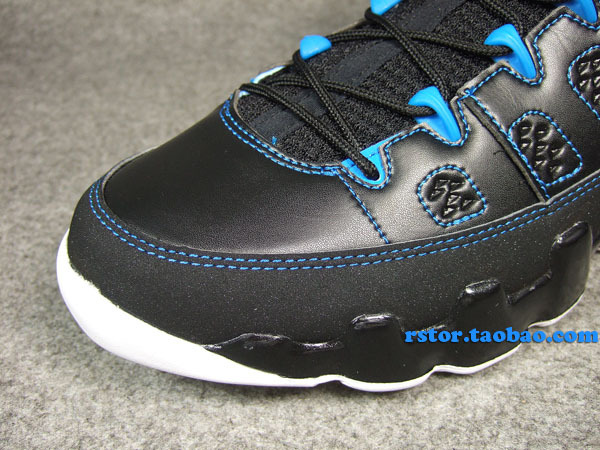 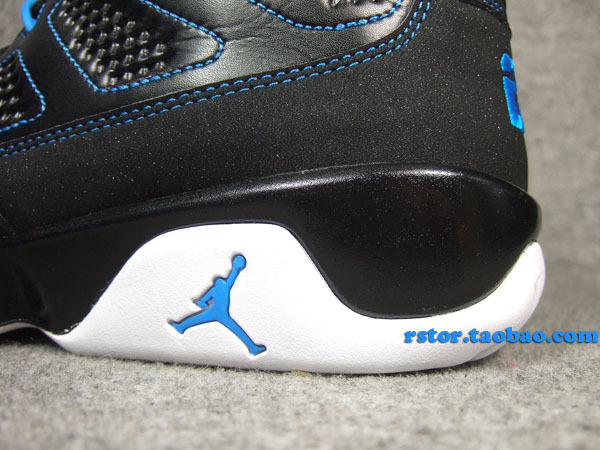 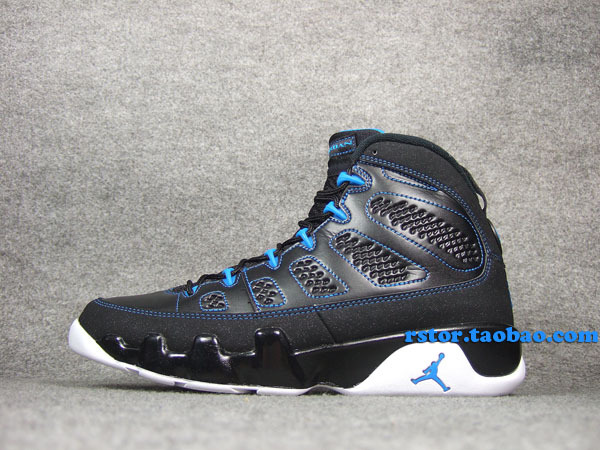 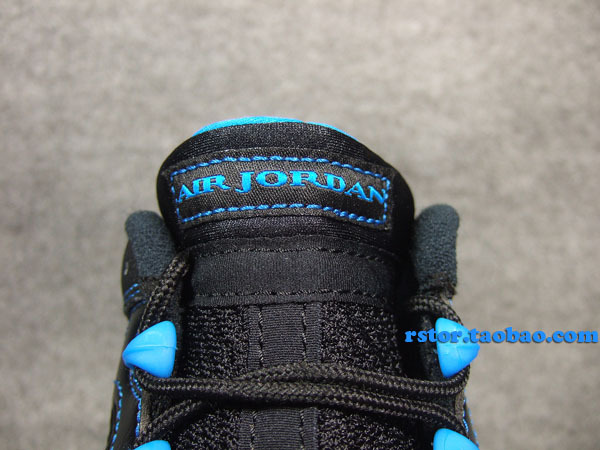 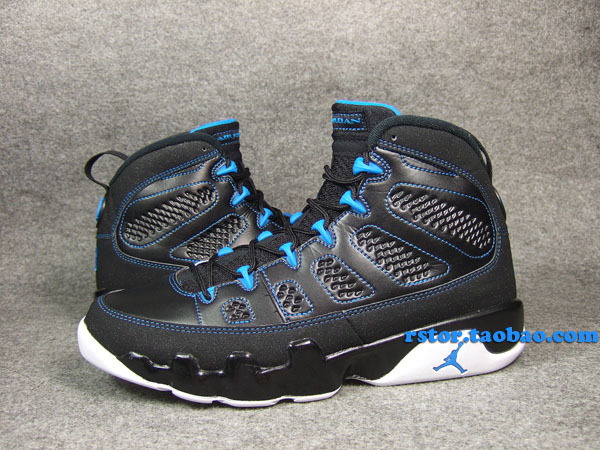 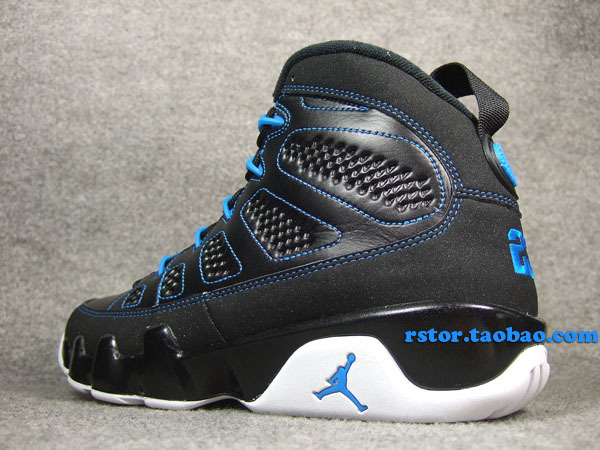 Look for the "Photo Blue" Air Jordan 9 to hit retail for $160 on Saturday, November 3.